Many homeowners choose to get a custom-made front door because they love the look and feel of a beautiful ornate door. The front door is one of the central areas of the home that is a major part of the visual appeal of a home. Instead of going for a basic door that looks like any other home, you can opt for a custom design that matches the look of your home and meets all your needs. Read on to find out about some of the considerations you’ll need to think about when getting a custom front door. There are different pros and cons for each type of material for your front door. The main materials used are steel, fiberglass, wood, and iron. When formatting your custom door, you’ll want to pick the material that will best suit your home’s needs. Steel doors truly live up to the motto “nothing is stronger than steel.” It can beat the strength and durability of fiberglass and wood. It’s also much cheaper than other materials, making it one of the most cost-effective. In addition to its affordability, steel doors offer a security that’s unbeatable compared to other materials. For residences that are in less than desirable areas, a steel door can be an excellent choice for that reason. They also can provide a level of security that commercial properties may seek. A foam core insulation provides a level of energy efficiency that allows it to resist the outside elements, which many homeowners find to be highly attractive. The foam insulation also allows the steel door to look more like wood. Most steel doors have weatherstripping as well, which helps with shrinking and warping. Fiberglass doors are another option that is rather durable, although it cannot beat out steel. 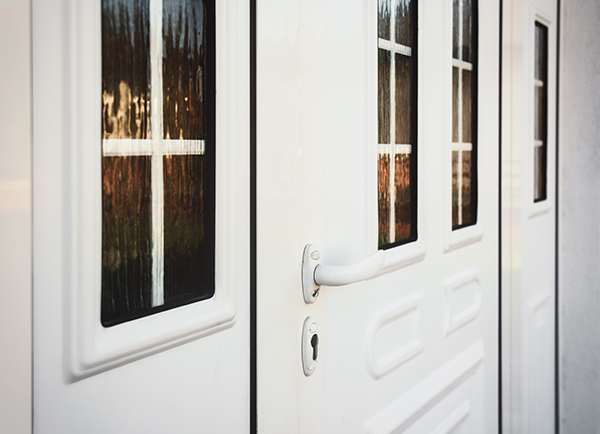 A fiberglass is an excellent option for those who live in areas with bad weather or places with a lot of rain and snow that may affect the front door. Since they’re rather durable, they’re also perfect for front doors or any entryway that may get a lot of traffic. One of the best parts about fiberglass is that you can easily stain them to match the exterior of your home. For people who are interested in custom doors, you may want to integrate your front door with a specific color and look. Fiberglass is perfect in those cases due to its adaptability. Iron is the most durable and toughest material, and it’s rare for it to scratch or warp. No matter what outside elements come into contact with the door, iron will keep in good condition. An iron door can be made to be very embellished and decorated to match traditionally styled homes. Wood doors can be a popular choice for custom made doors. They provide a sort of elegance and beauty that other materials cannot rival. They are also quite heavy, which means that installation can take more time and possibly be pricier. Wood is a good option to resist dents and scratches. However, wood requires a lot of maintenance. Wood doors need paint and finish to have an appearance of being done. Often times, they need to be repainted every so often in order to keep their durability. One con to wood doors is that they are easily affected by the outside elements. Rain, snow and temperature fluctuations can impact the wood and warp it. What Makes for a Great Front Door? The best kind of front door is one that meshes well with the overall style of your home. If you have a traditional home such as a multi-floor colonial, you may want to choose a wood door that is ornate and has a transom window, or a glass pane that is at the top. A more modern look may be better suited with a fiberglass door with a clean looking finish. Another important trait for a front door is that it’s able to resist your lifestyle. If you live in an urban area where the door may come into contact with a lot of traffic, a more durable option like steel or iron may be a good idea. 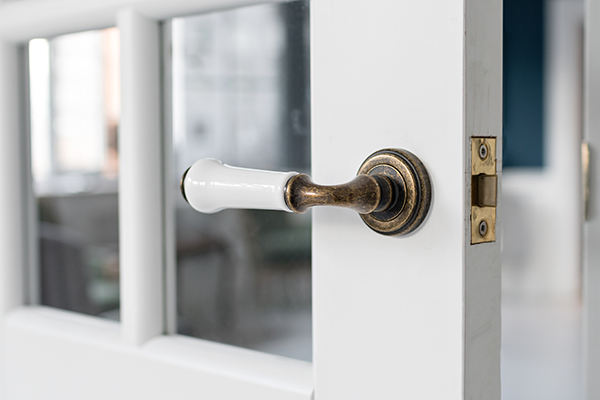 If you have kids who often play and risk denting the door with a ball, that’s another reason to go for a durable option. A third consideration is the weather. If you live in an area prone to a lot of precipitation, wood is going to be more likely to need repair due to warping. The fluctuation in temperatures can cause damage, so a more durable material may be a better idea. How Much Do Custom Doors Cost? There are a ton of pre-made doors that are ready to be sold at your local hardware supplies store. These doors are factory made and assembled. A custom door, however, will have to be tailored to your specifications and measurements, which means that more time is needed to make it. In addition, some custom doors have special sizes, so the installation may be higher. For a custom front door, you may have to pay three times the price of a ready-to-install door. Usually, a custom front door will be a handcrafted item that specialists make out of fancy materials, such as mahogany and glass. You may also have to pay extra for a special window on it or for any accessories that may go on it. Even the doorknob may be a bit more expensive. The price is worth it, however, given the value a custom front door brings to a house and the curb appeal it establishes right away. Choosing the right front door is so important to maintaining a beautiful overall feel to your home. 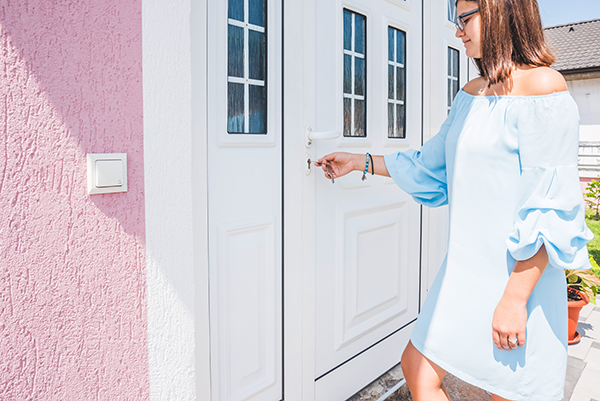 If you plan well and think about how to incorporate the door into your home’s overall color and style, you can improve your home’s value and curb appeal. Consider your needs and wants such as durability, style or security, and your custom front door will be a perfect fit. For all of your entry door needs, we have you covered. Over 350,000 homeowners have trusted Feldco with their home improvement needs. With a variety of style and color options for front doors, Feldco knows what’s important in any front door. Get a quote now and see why we’re Americas #1 door company.